For any investment, having a dependable level of insurance is always important; but when it involves property which could cost hundreds of thousands of pounds, then reliable insurance is paramount. Whether it is to cover property damage, or injury caused to an individual when on said property, it is always best to be as comprehensively covered as possible. 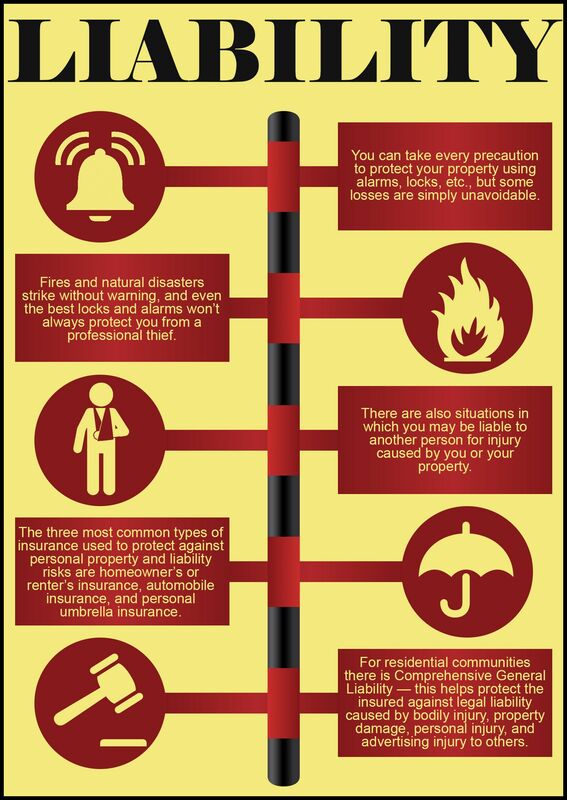 In order to make the most informed decision possible it is essential that a property owner knows exactly what types of property insurance are available and when they might be liable for damages. Considering all of the above, choosing insurance cover should incorporate any likely eventuality which could leave an individual open to severe financial liability. This in itself can be a trick subject to understand; but there are some great resources out there in making these considerations, including on the Hamilton King Twitter page, where articles on various property issues are often posted. The decision then to choose which type of insurance is appropriate usually comes down to a handful of insurance plans. Homeowner’s Insurance: This type of insurance is also known as hazard insurance and applies to private residences. In reality it is a combination of different personal insurance plans which can involve building damage and contents loss. The scope of each homeowner’s insurance plan differs depending on the provider but can often include liability insurance which protects against other parties being accidentally injured while on a property. Renter’s Insurance: Essentially, this type of insurance offers similar protections as home owner’s insurance minus any covering of damage to dwellings. Automobile Insurance: This form of insurance covers accidental damage to any car and can also include theft coverage. Personal Umbrella Insurance: An umbrella insurance policy provides additional coverage for any costs beyond those stated in other policies such as homeowner’s insurance. In effect, this means that if one insurance plan only covers up to a certain amount then the umbrella insurance will cover the remaining amount. One of the best ways that a property owner can protect themselves against liability is to know exactly which situations they would be required to pay for in order to cover damages. With this knowledge, it is then possible to identify the type of insurance needed without going over the top and insuring in areas which do not require such a safety net. Fire Damage: No home is fireproof. No matter the number of fire-alarms installed, fire retardant materials used, or careful consideration of fire hazards applied, there is always a risk of fire which can bring about danger to life and can devastate a property. Furthermore, all belongings can be destroyed in the process leaving individuals and their families temporarily homeless and without even a change of clothes. Without adequate insurance, everything can be lost. With the correct insurance, the house can be repaired or rebuilt and all belongings can at least be replaced in terms of their monetary value. Each year, thousands of fires break out in seemingly safe homes and commercial properties. It is for this reason that such coverage is essential. Flooding: Another well-known type of damage which can devastate any property. While not as common as a fire, flooding still occurs every year and can ruin belongings and even bring a house down on top of itself by eroding its support structures and foundations. Flooding insurance is something which should be considered by everyone simply because it is not always an obvious issue. For example, underground streams and other water sources can damage a property without there being a visible torrent of water. Once water is in a building, it is very difficult to remove and limit the resulting damage. Some properties will be more at risk than others depending on their location – but this does not mean that it should not be a consideration for everyone. Storm Damage: Hurricanes, tornadoes and other types of storm can decimate entire regions. Roofs can cave in and homes can be obliterated. Storm cover will protect a property in such an event, and is an important consideration especially in regions where storms are more common, even if the resulting damage is small. Burglary: This is a risk everyone has to face. Of course it is higher in some areas than others, but wherever there is property there is always the chance of a thief breaking in to claim items for themselves. Even with security measures such as guard dogs and alarms, a trained thief will often know how to circumvent such hurdles. For this reason, cover for such events is very important and could at least replace any belongings stolen in the process. Vandalism: Another unfortunate possibility. Vandalism occurs everywhere whether living in a quiet suburb, rural village, or urban area. A rock through a window thrown without care could cause substantial damage, and that is a low-level example. Vandalism can ruin a property and require a substantial amount of money to remedy. Insurance helps protect against this. Natural Disasters: As well as storm and flooding damage, other natural disasters could occur such as earthquakes. The likelihood of this will depend on the region, but in seismically active hotspots cover for such events should be taken out. Car Accidents: Property does not just apply to a building. An automobile can be a massive financial investment, and therefore automobile insurance is needed – indeed it is usually required by law to protect those involved in accidents which are not their fault. When looking at insurance coverage the most important thing is to always take out plans which cover real eventualities which might be faced in the future. Striking a balance between what is affordable and what is necessary is always difficult, but it is better to be over insured than under insured should the worst happen.